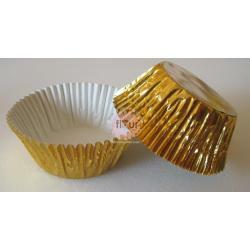 This reusable, 3 tier, silver, cupcake stand is covered with grease-proof embossed foil and is the perfect cupcake stand for all occasion. 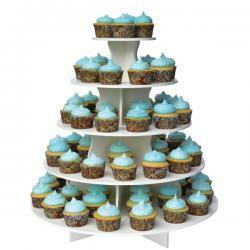 Easy to assemble in seconds - and sturdy enough to hold 24 to 36 cupcakes. Includes - 8½" dia, 12½" dia and 14¼" dia tiers.